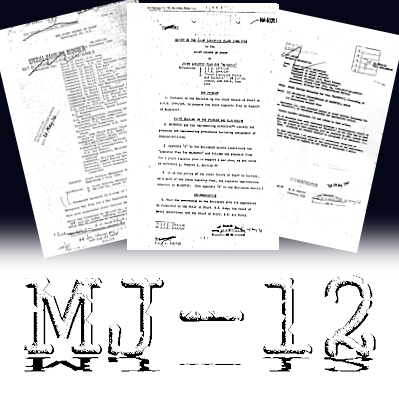 Work of such researchers as Mark Pilkington has reignited interest in the infamous MJ-12 docs and surrounding circumstances. His book and resulting film, 'Mirage Men', significantly contributed to bringing some events that were dangerously nearing obscurity back to where they belong at the forefront of attention of the UFO community. In 2007, scholar and author Dr. Michael Heiser facilitated professional linguistics testing on select MJ-12 docs. The work was conducted by qualified expert Dr. Carol Chaski and resulted in her assessment that the docs examined were almost certainly inauthentic. Chaski demonstrated an extremely high rate of accuracy in her previous evaluations, and it is all explained in depth in Heiser's full report. Interest in the report has been revived of late thanks to sites including Frank Warren's 'The UFO Chronicles', where an ongoing watchful eye is kept on the ever developing MJ-12 story. Rojas' informative presentation included summaries of USAF documents he obtained that are worthy of ample consideration. The presentation also included the results of tracking down what appears to be the first mention of the term "Majestic Twelve" in the UFO community, and suffice it to say its origins were quite dubious. Among other points of interest, the question was raised in the video as to why Richard Doty might have been involved in such disinformation operations, given his relative inexperience with the Air Force Office of Special Investigations (AFOSI). George P. Hansen addressed such circumstances in his book, 'The Trickster and the Paranormal'. 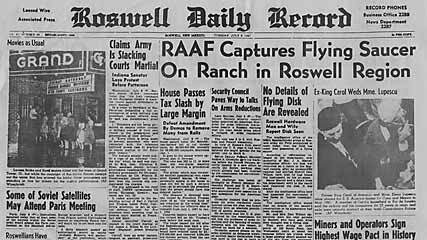 Hansen cited the case of Airman Simone Mendez, who was apparently called upon at a very young age and under questionable conditions to file a report on her attendance at a MUFON conference. The circumstances demonstrated official interest in the UFO community and implicated the AFOSI. Moreover, it implied the AFOSI might have targeted Mendez for recruitment - and perhaps individuals such as Doty as well - due to their inexperience and similar extenuating circumstances, not in spite of them. For much more detail, as well as additional information of interest surrounding Doty, please refer to Hansen's work. Writer/researcher Ryan Dube published a number of posts on the MJ-12 saga and related circumstances, including his 2010 piece, 'John Alexander - Mr. Non-Lethal with Many Hands in Many Pots'. Dube explored the career path and ufology activities of Col. Alexander and other members of the intelligence community. After conducting an interview with Alexander, Dube concluded, "I am now even more suspicious than ever before that John was one of the integral players in the distribution effort of the MJ-12 memes upon the public domain, starting in the 1980's and continuing throughout the next several decades to today." As recently as last year, Col. Alexander inserted himself once again in the controversial MJ-12 debate when he discussed the legendary group during an interview. Grant Cameron reported that he interpreted the statements of the colonel, which included that Alexander "had someone whisper" to him about MJ-12, could not be over emphasized. Cameron credited Alexander with confirming existence of the MJ-12 yet acknowledged that Alexander doubted the MJ-12 had anything to do with UFOs. Many disagreed with Cameron's take on the importance of the situation, apparently including Alexander, who later informed this writer that his remarks "did not change anything." And what to our wondering eyes should appear but yet another chapter in the winding saga of the MJ-12. The latest from Kevin Randle informs us that Tony Bragalia came across a relevant lead on a doc. The two of them ran down provenance and, at least to Randle's satisfaction, have knocked the MJ-12 meme out for the count. It seems they indeed identified an operation that used key code words as described in the legendary Majestic operation, but the actual op in question had nothing to do with alleged UFO retrieval. That, according to Randle, confirms that the MJ-12 story of UFO lore is complete myth because code words are not duplicated in order to minimize risk of compromising the projects of which they are assigned. Not exactly sure why people would be whispering to Col. Alexander about such, instead of just describing it to him in an audible voice, but he could no doubt explain it in unassailable entirety if he ever decides he feels like it. In the mean time, perhaps we might consider if the MJ-12 story has not always been floundering on the ropes. Was there ever a time that it drew any particularly credible support? How many of us ever really bought it? Perhaps more importantly would be why the saga was so persistently propped up and promoted. Questions of origins and purposes become quite relevant, arguably more so than authenticity in some cases.